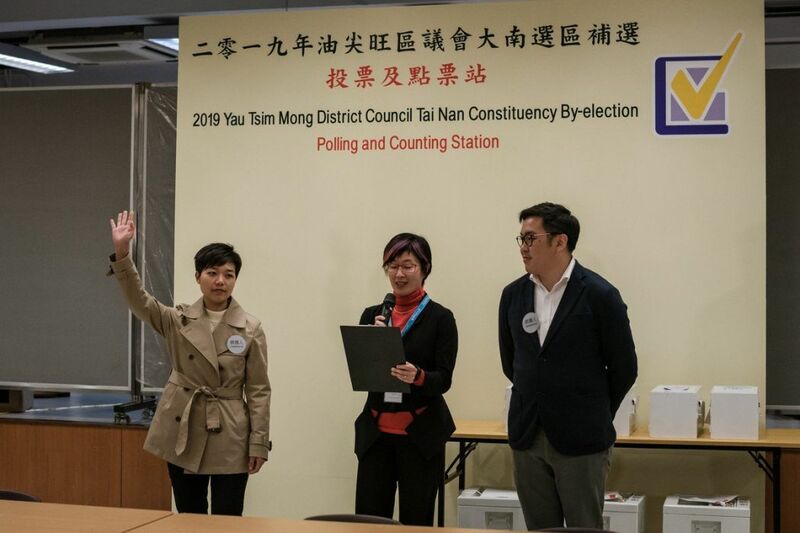 A pro-establishment candidate won a by-election for a Yau Tsim Mong District Council seat on Sunday. Li Sze-man, 33, a Business and Professional Alliance (BPA) party candidate, received 1,343 votes. She beat Lee Kwok-kuen, 37, of the pro-democracy group Community March who won 1,134 votes. The by-election was held to fill the seat vacated by the BPA’s Francis Chong, who has been district councillor for the area since 2007, but passed away last November. Li was seen as Chong’s apprentice. 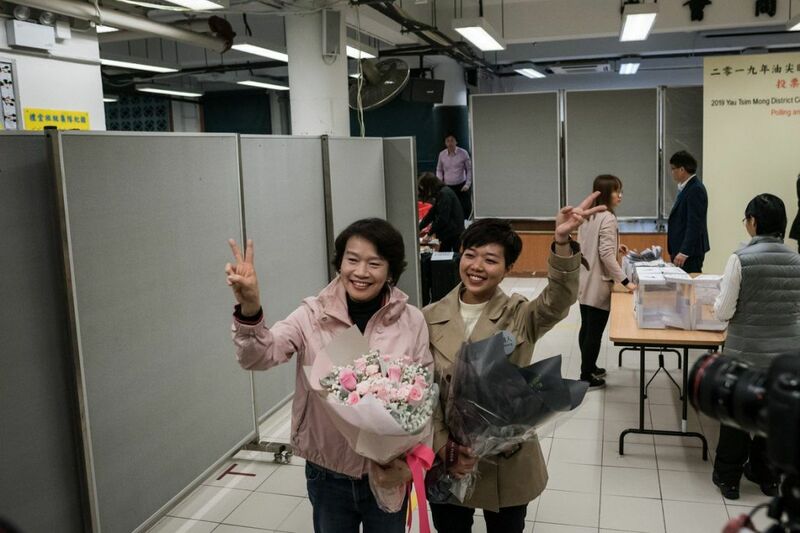 Li Sze-man (left) winning the election. Photo: Stand News. Of the 7,257 registered voters in the Tai Nan district, 2,495 voted on Sunday. The turnout rate was 34.38 per cent. 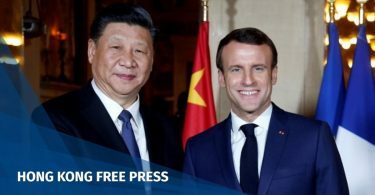 Li said she appreciated the support from lawmakers and district councillors of different parties: “I thank them for spending time to teach me and guide me,” she said. She said the term for the seat will be short but she will work hard. The next District Council general election will be held on November 24. Li Sze-man (right) and BPA party lawmaker Priscilla Leung. Photo: Stand News. Community March’s Lee said there was room for improvement to win more votes. He said the turnout rate was lower than expected, and he failed to mobilise all pro-democracy camp voters. “We must admit we can do better in district work,” he said, adding that he will continue to serve Tai Nan residents. 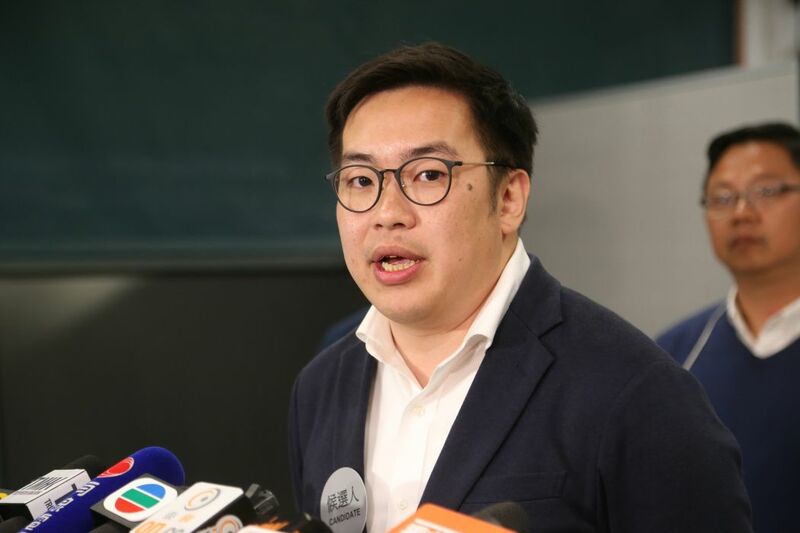 In the Kowloon West Legislative Council by-election last November, pro-democracy candidate Lee Cheuk-yan received 1,350 votes in the Tai Nan area, only three votes short of winner Rebecca Chan. District Council elections adopt a simple first-past-the-post system. In the 2011 and 2015 District Council general elections, Chong won as there were two pro-democracy candidates running in both races. The number of votes for pro-democracy candidates, if combined in each election, were enough to beat Chong when totalled.